Gabriela Mistral loved words and sounds and stories. Born in Chile, she would grow to become the first Nobel Prize-winning Latina woman in the world. As a poet and a teacher, she inspired children across many countries to let their voices be heard. This beautifully crafted story, where words literally come to life, is told with the rhythm and melody of a poem. 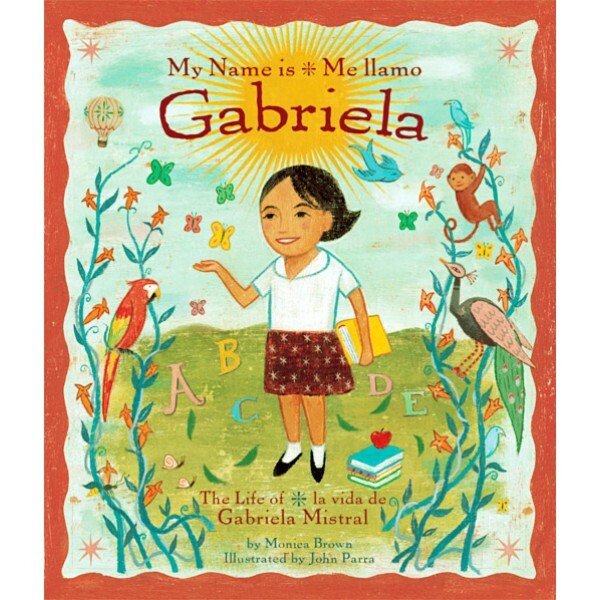 My Name is Gabriela/Me llamo Gabriela is beautiful tribute to a woman who taught us the power of words and the importance of following our dreams. The story of Gabriela Mistral will continue to inspire children everywhere. Monica Brown, Ph.D. is the author of award-winning bilingual books for children, including My Name Is Celia: The Life of Celia Cruz / Me llamo Celia: La vida de Celia Cruz (Luna Rising), which was awarded the Américas Award for Children's Literature and a Pura Belpré Honor. 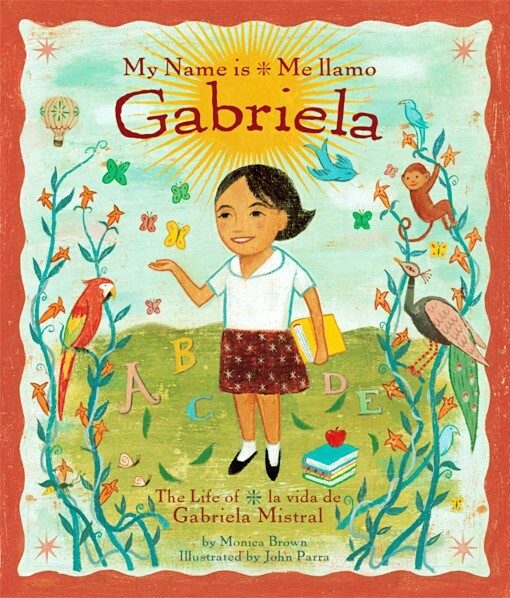 Her second picture book, My Name Is Gabriela: The Life of Gabriela Mistral/Me llamo Gabriela: La vida de Gabriela Mistral (Luna Rising) shares the story of the first Latina to win a Nobel Prize.